In a recent Post-Koken opinion out of the Eastern District Federal Court of Pennsylvania in the case of Lucca v. GEICO, No. 2:15-CV-04124-GEKP (E.D. Pa. July 7, 2016 Pratter, J. ), the court issued an Opinion granting a pre-trial motion in limine of the UIM carrier to preclude any mention at trial of the amount of the available UIM limits and/or the premiums paid by the Plaintiff for those UIM benefits. Noting that caselaw on this issue in Pennsylvania was basically nonexistent, the court essentially ruled that information pertaining to the UIM policy limits and premiums paid were irrelevant to the issue of the extent of the Plaintiff's injuries allegedly resulting from the accident. The court also noted that the admission of such information could be prejudicial to the UIM carrier. As such, the court granted the carrier's motion in limine and precluded the evidence. In so ruling, the Lucca court declined to follow the more expansive decision of Noone v. Progressive out of the Middle District Federal Court of Pennsylvania. 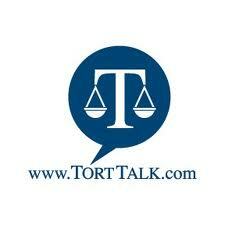 [Click this LINK to view the 2013 Tort Talk post on the Noone case and to access that decision through a Link]. 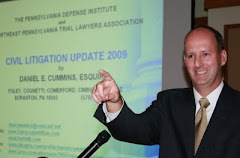 I send thanks to the prevailing defense attorney Robert Cahall of the Wilmington, DE office of McCormick & Priore for bringing this case to my attention.